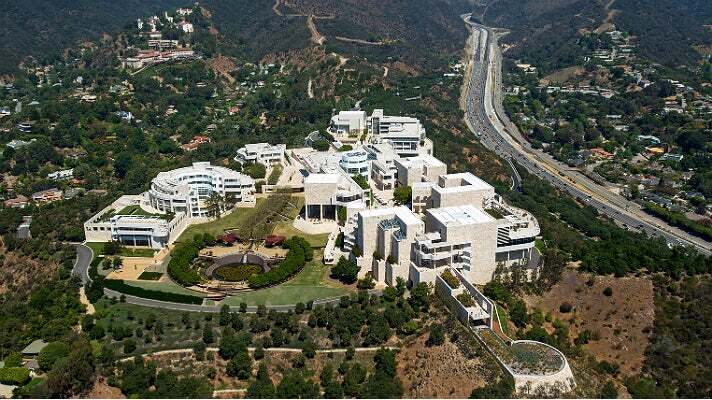 The Top 10 Must Sees & Hidden Gems of the Getty Center | MeetL.A. 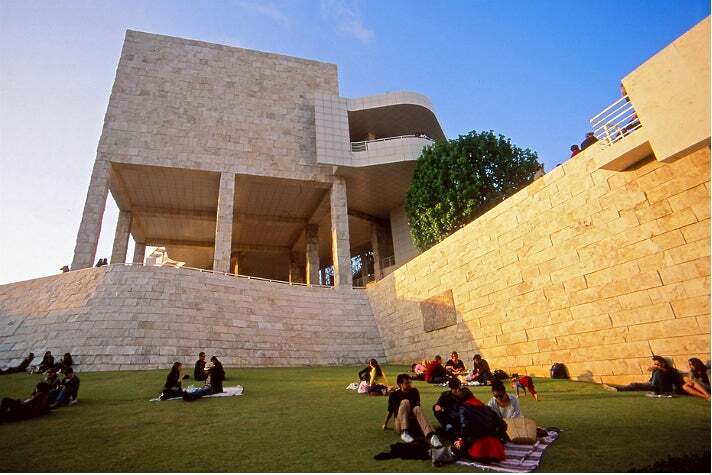 Designed by Pritzker Prize winning architect Richard Meier, the world-famous Getty Center opened to the public Dec. 16, 1997. Nestled above Brentwood on a hilltop in the Santa Monica Mountains, the 24-acre campus houses the Getty Research Institute, the Getty Conservation Institute, the Getty Foundation and the J. Paul Getty Trust. 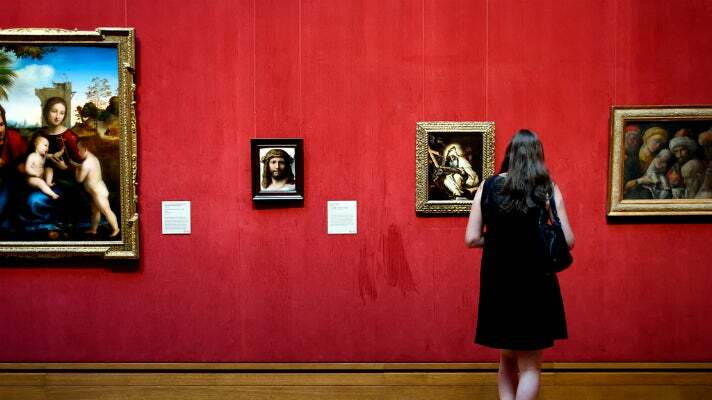 To coincide with its 20th anniversary, the Getty Center is exhibiting 20 images by renowned photographer Robert Polidori, who captured behind-the-scenes views of the building and galleries as objects from J. Paul Getty’s collections were being installed in the museum for the first time. Robert Polidori: 20 Photographs of the Getty Museum, 1997 is now on view through May 6, 2018. 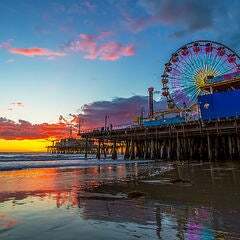 The Getty Center is renowned for its permanent collection, which includes pre-20th century European paintings, drawings, illuminated manuscripts, sculpture and decorative arts; 19th and 20th century American, European and Asian photographs; and contemporary and modern sculpture. 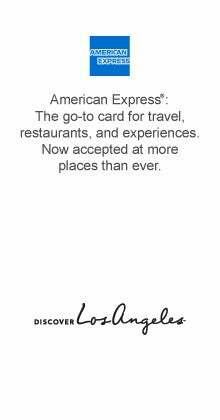 With its fine art exhibitions, impressive architecture, lush gardens and spectacular city views, the Getty Center draws 1.8 million annual visitors for educational and recreational purposes alike. Whether you’re looking to reflect in the present or rethink history, you don’t have to travel far to enjoy these experiences. Read on for ten must-sees and hidden gems at the Getty Center and get ready for a feast for the senses. Currently on view in Gallery W204 of the West Pavilion, Vincent van Gogh’s masterpiece Irises is a stunning glow of delicate flowers on sturdy canvas. Visitors at the Center can take a moment to study the irises the way van Gogh chose to - through their movement, curvature and twisting silhouettes. It’s no wonder taht art lovers from around the world visit the Getty Center to marvel at the 1889 oil painting. 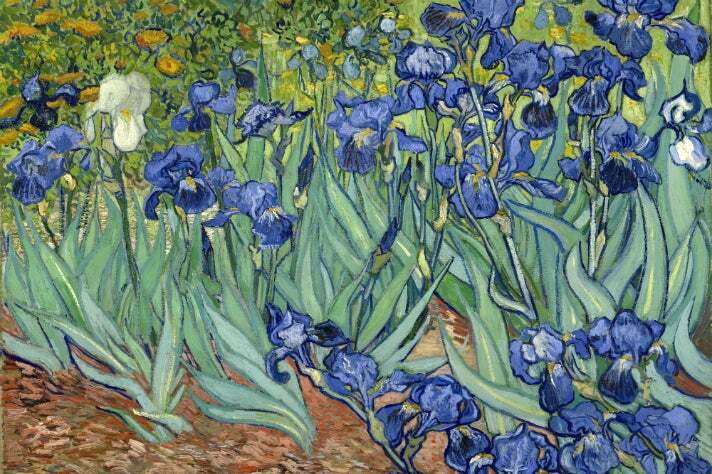 There’s something so exquisite about the rich colors of Irises that pulls us somewhere far, far away. It takes a blink of the eyes to shake us back into reality. Fans of Impressionism can’t miss iconic paintings on view in the same gallery as Irises, including Pierre-Auguste Renoir’s La Promenade and Claude Monet’s The Portal of Rouen Cathedral in Morning Light. Rembrandt Harmensz. van Rijn is one of the most celebrated painters in history, and the Getty is home to “the most significant collection of early Rembrandts in the United States,” says Director Timothy Potts. During his lifetime, Rembrandt created nearly 100 self-portraits, regarded by many as “his most celebrated and sustained achievement,” according to Potts. 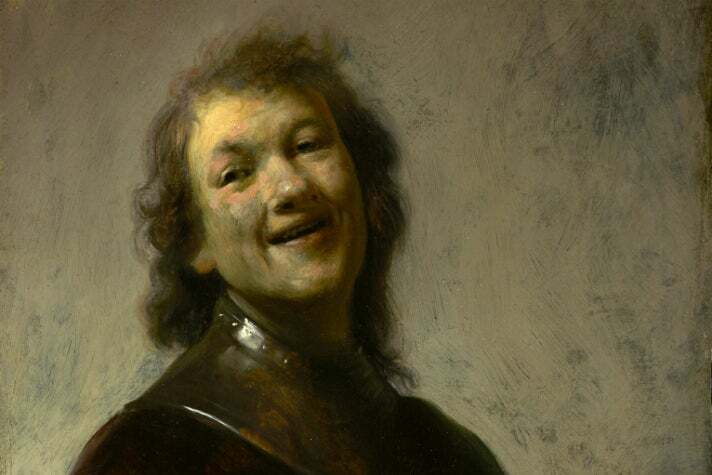 Acquired by the J. Paul Getty Museum in 2013, Rembrandt Laughing (ca. 1628) is an early self-portrait that depicts the artist dressed as a soldier, relaxed and engaging the viewer with a laugh. Rembrandt captured the spontaneous moment on copper using short, expressive brushstrokes. “[Rembrandt Laughing] is destined to become one of the Getty’s signature paintings,” said Scott Schaefer, the Getty’s former senior curator of paintings. Rembrandt Laughing is currently on view in Gallery E205 of the East Pavilion, along with other Rembrandt masterpieces such as An Old Man in Military Costume and The Abduction of Europa. The artwork on view at the Getty Center isn’t limited to indoor galleries. 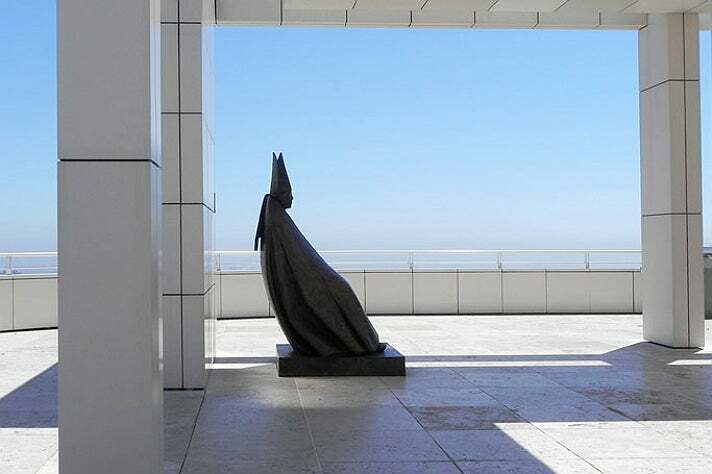 There are 28 modern and contemporary outdoor sculptures donated to the J. Paul Getty Museum from the collection of the late legendary film producer Ray Stark and his wife, Fran. The sculptures are located throughout the campus and are integrated with the environment and architecture to create a dramatic outdoor art experience. The Fran and Ray Stark Sculpture Garden focuses on British sculpture and is located at the tram departure area, where visitors first enter the Getty Center. The Fran and Ray Stark Sculpture Terrace is adjacent to the West Pavilion and features works that trace the transition of figurative sculpture from representation to abstraction. In addition to the two named areas, there are sculptures on view in various public spaces and gardens, such as the museum's Grand Staircase, Entrance Hall and Lower Terrace Garden. Several sculptures are on view at the South Terrace, including Cardinale Seduto (1975-77), a striking bronze sculpture by Italian artist Giacomo Manzù. From the late 1930s to the late 50s, the sculptor produced more than fifty cardinals in a variety of poses, sizes and materials. The sweep of the cardinal’s vestment from his feet to his mask-like face creates a dramatic, pyramidal form. The Department of Photographs at the J. Paul Getty Museum holds one of the finest collections of photographs in the world, with about 36,500 individual prints, over 2,500 daguerreotypes and other cased objects, 30,000 stereographs and cartes-de-visite, and 475 albums containing almost 40,000 mounted prints. Like rare manuscripts and drawings, these light-sensitive photographic works can't be on permanent display. Rotating exhibitions from the collection are displayed in the 7,000 square-foot Center for Photographs in the West Pavilion. 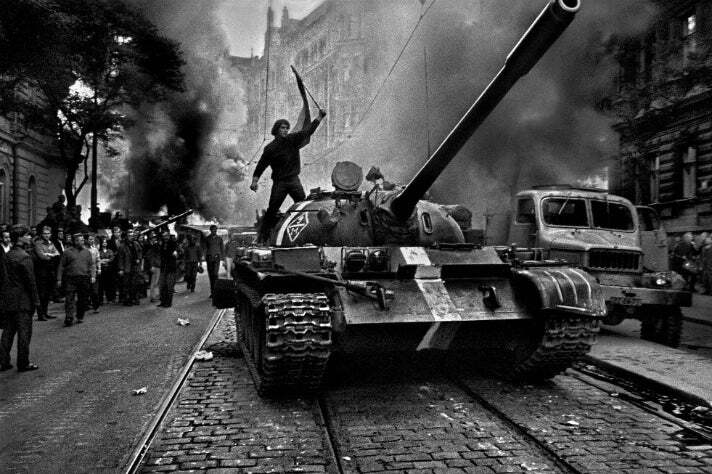 Josef Koudelka: Nationality Doubtful marked the first time that the work of one contemporary photographer filled the Center for Photographs. Give your nose something to smell, your eyes something to admire, and your feet something to explore when you soak in the glorious ever-changing work of art that is the Central Garden at the heart of the Getty Center. Created by artist Robert Irwin, the 134,000 square-foot Central Garden is the perfect place to spend a sunny afternoon, with tree-lined paths, peaceful sanctuaries and more than 500 varieties of plants to enjoy. Whether cactuses, fountains or shaded spots are your favorite, the lush Central Garden offers visitors an escape from the city’s bustle and a banquet for the eyes. The Center’s succulent cactus garden at the South Promontory is the perfect blend of elegance and structure, weaving in the prickliness of the cacti against the garden’s angular city silhouettes. 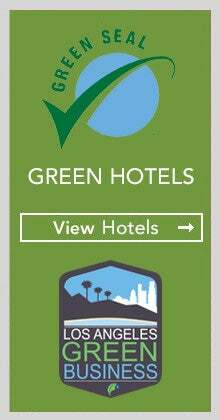 Visitors that scope out this hidden gem are rewarded with a serene ambiance to take in the panoramic city views. 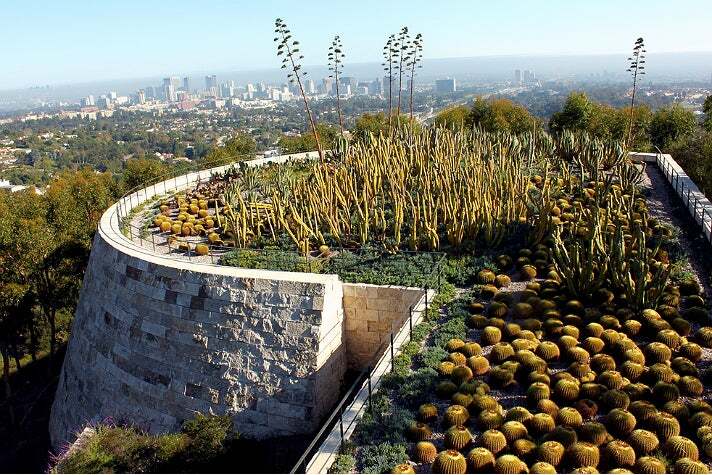 There are 32 full-time gardeners maintaining the grounds of the Getty Center, providing the essential care these rare plants require. Develop your inner artist at the Sketching Gallery, located on the second floor of the East Pavilion. This unique space allows guests to participate in the tradition of drawing from traditional art pieces, no matter your skill level. 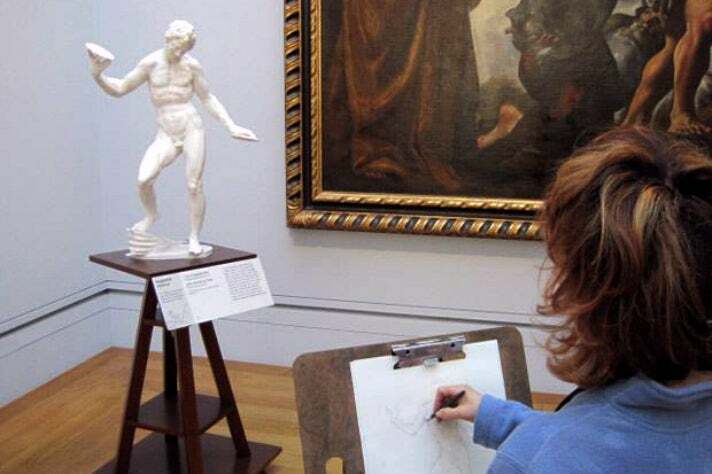 Featuring six original oil paintings from the museum’s collection and three casts of sculptures (including Adriaen de Vries' dynamic Juggling Man), the Sketching Gallery welcomes visitors to work with an easel individually or in a group at the shared table. The Sketching Gallery is free and no reservations are needed. Roll up your sleeves and sketch away! 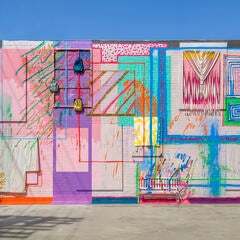 Throughout the year, the Getty Center presents a wide range of public programs through its Getty360 initiative. 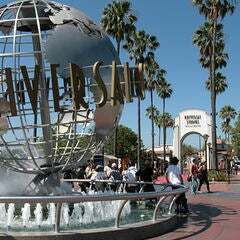 The summer schedule includes Off the 405, a popular outdoor music series featuring live performances from indie-pop to world music. Year-round events include free lectures and conferences; family activities; studio courses and culinary workshops; and specially curated film series. The Getty Center also hosts free daily tours of the museum’s architecture, gardens, major works and current exhibitions. Access hundreds of artworks at your fingertips with GettyGuide, featuring videos, audio recordings, detailed information and commentary from curators, conservators and artists. 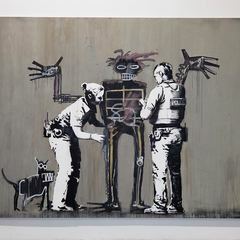 It’s an art lover’s dream come true! 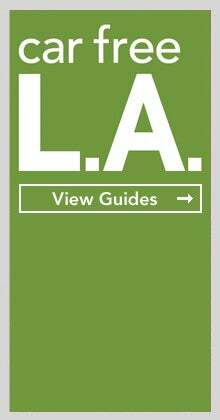 GettyGuide can be accessed on an iPod Touch at the museum, smartphones with the Goggles app for iPhone and Android, and via the Museum Collection section of the Getty website. 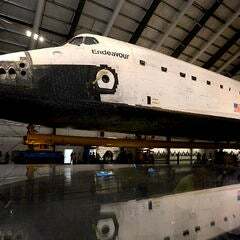 An iPod Touch is available free of charge (with a photo ID) at the GettyGuide Desk in the Museum Entrance Hall. A tour of highlights of the collection is included in numerous languages, including Mandarin, Spanish, French and Brazilian Portuguese. The Family Tour is available in English and Spanish for children ages 6 and up, who can listen to fun facts about art accompanied by music, sound effects and more. 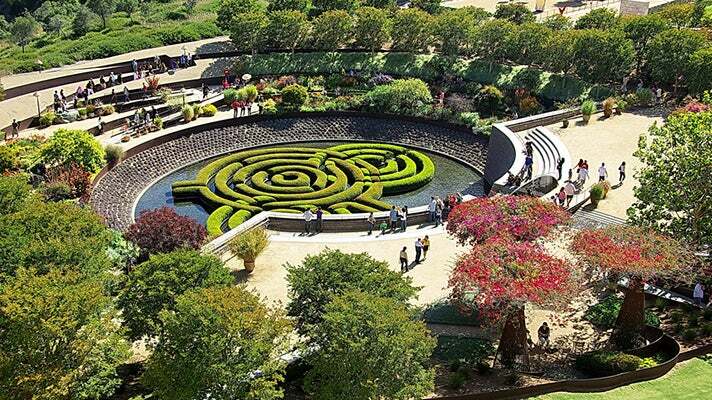 During a full day of viewing exhibits, exploring the gardens and participating in workshops, your hunger can be soothed at one the Getty Center’s many dining options, from an elegant, full-service restaurant to a self-service or garden terrace café, coffee and pizza carts, and boxed lunches. It’s bound to be your toughest decision of the day. We suggest picking up a gourmet to-go lunch outside the restaurant on the Plaza Level and then grabbing a grassy spot for a leisurely picnic.